Elegantly mask your bulky and unsightly Christmas tree stand with this Rustic Tree Skirt from Home Accents Holiday. Suitable for a live tree up to 60 in. W or for any size artificial tree, this skirt features a tartan center with soft, faux fur border design to enrich your home's holiday ambiance. The rich tartan material gleams under light, while the wooden toggle closures make this festive and vibrant skirt easy to wrap around your tree. Display your wreath or holiday swag quickly and easily with this 14-inch Metal Wreath Hanger from Home Accents Holiday. This handy, over-the-door device eliminates the need for screws or nails and works on both interior and exterior doors. Reusable year after year, the hanger features three festive bells and holds up to 5 lbs., while the foam back protects your door surface from damage. 60-inch Dia. 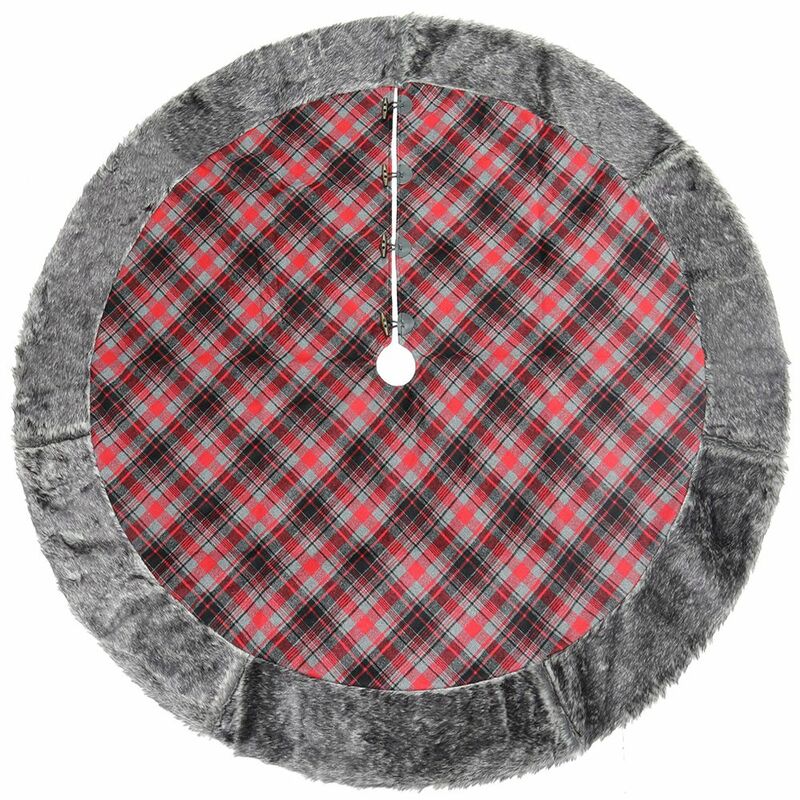 Plaid Christmas Tree Skirt with Faux Fur Border & Wooden Toggle Elegantly mask your bulky and unsightly Christmas tree stand with this Rustic Tree Skirt from Home Accents Holiday. Suitable for a live tree up to 60 in. W or for any size artificial tree, this skirt features a tartan center with soft, faux fur border design to enrich your home's holiday ambiance. The rich tartan material gleams under light, while the wooden toggle closures make this festive and vibrant skirt easy to wrap around your tree.